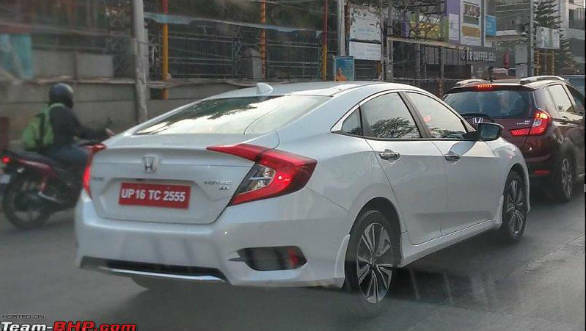 A new set of images have appeared which shows the 2019 Honda Civic sedan undisguised on Indian roads. We've seen the car in spy photos earlier, but this time the cars were under no camouflage. The car should launch by the end of the month, with it first being shown to Indian customers at the 2018 Auto Expo. The car has been on sale internationally since 2015 and was recently facelifted. This version will make it here. Noticeable differences on the facelifted Civic, one of which is visible in these pictures is the piano-black insert in the grille, replacing the earlier chrome unit. There is a good chance that the Indian version will introduce the chrome panel, given our affinity towards this material. The front bumper has been redesigned as well, with the earlier three-section layout now being replaced with a more seamless single section look. There is a new full-width front splitter as well, along with chrome accents around the fog lamps. The sedan version now gets a new chrome bar along the length of the rear bumper. Other changes include new alloy wheel designs and larger 18-inch wheels for the higher trim levels. A range of engines is offered on the Civic globally. 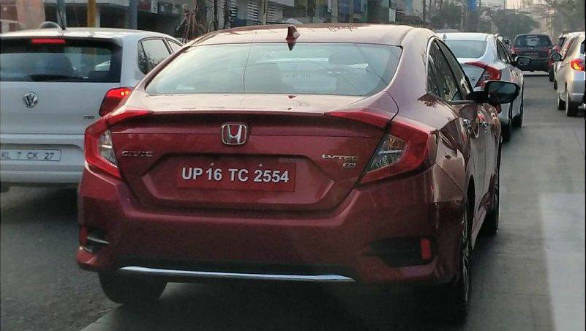 Of most interest to the Indian market is the 1.5-litre VTEC turbo petrol motor which makes 182PS and 240Nm and the naturally aspirated 1.8-litre with 141PS and 174Nm. A new 1.6-litre i-DTEC turbo diesel engine, also available on the new CR-V, which puts out 120PS and 300Nm should be available. Transmission options should be a six-speed manual, a nine-speed auto and a CVT. Like in the SUV, we think that the petrol will be paired with a CVT while the diesel will get the nine-speeder. 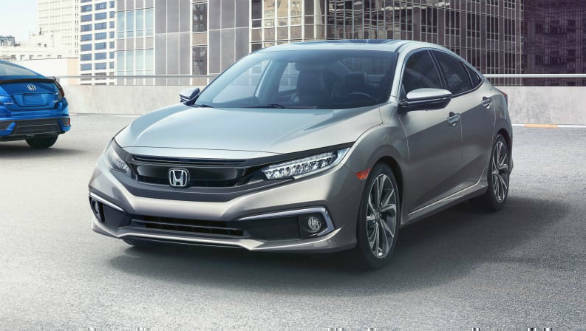 The Honda Civic is popular the world over for its practicality and value. Add to this, attributes like a rewarding driving experience and good looks, the Civic again seems like a great proposition in the D-segment sedan market for India. The Honda will compete with the Skoda Octavia and Toyota Corolla.